The Dreams creator beta test may be over, but that didn't stop Media Molecule from hosting one more live stream, checking out a few more user generated bits and bobs. As ever, the variety and quality of experiences shown is impressive; we go from a realistic first person shooter scene to a game about a dung beetle collecting faeces from a field. Only in Dreams. We're not sure if the developer will be streaming any more user creations, but we do know that some sort of Dreams update is coming on 20th February, in just over a week's time. We'll be sure to keep you posted on this long-awaited PS4 exclusive. The detail of the sculpt in Dragon Showcase is insane! Could this be the next Minecraft? I think it'll be a bit complicated to be that big.
" 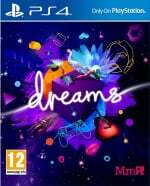 Dreams update is coming on 20th February". It's all very clever but the end result of the games that have been demonstrated so far isn't particularly engaging IMO. @zazzy Remember that everything you're seeing has been made in a month. The sky's the limit in terms of what people will be able to achieve, but you're not going to get a 50 hour RPG overnight. @Kindaichi It can all be programmed. There was a really good platforming concept that someone made with uber-tight wall jumping and swimming mechanics. Can't remember the name of it, though. Very much doubt many people will remember it considering it was released in 1994!!!! Hopefully February 20th they will tell us the game release date but I'll take "date of the actually open we mean it this time beta" in the pool. Would be nice if this game we've known about for 5 years gets a release date before as yet unannounced PS5 gets a launch date. @get2sammyb Question - did everybody already know February 20th is the 6th year anniversary of the game first being shown at the PS4 reveal and I'm just out of the loop yet again; like everybody but me knowing Days Gone is aka Dead Don't Ride? I've read 2 articles and all the comments on here about Feb 20 and haven't seen anybody mention it. Dreams will make Sony the exclusives king (again). @tomassi Why would you expect something "engaging" from people who had only a few weeks to learn all the tools and create their own game? It's not the game's fault here, it's your lack of vision. My fear is more people like yourself who may buy the game and just expect wild things with no work or wait time for others create cool things. @Quantumduck And that's the games problem. People 'like me' and many others just won't buy into it. I want to, and I will get it and try my best but unless it's really, really simple and easy to use, then most people will just put it to one side and not bother.